With hectic schedules, little time and shrinking budgets, modern families looking for healthy solutions are often discouraged. Luckily, using a hot tub on a regular basis can boost physical and mental wellness. Here are three easy ways to promote well-being in the hot tub. Massaging jets and warm water relax tight, overworked muscles, calming and soothing on contact. A healthy lifestyle choice, twenty minutes in the tub can ease tension that pools in the neck, shoulders and upper or lower back. Strong relationships are an important part of mental health, and finding time to connect is important. 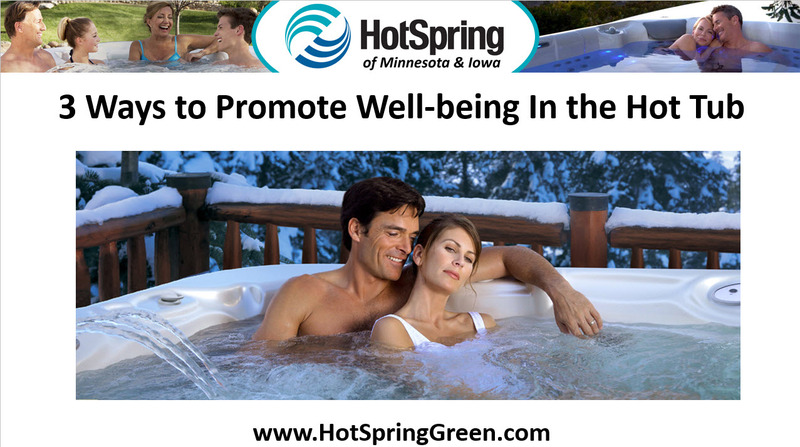 A hot tub is perfect for enjoying an intimate moment with a spouse or ending a busy day with some pals. Personal massage makes way for pleasant conversation and laughter. Soaking in elevated heat causes blood vessels to widen as they relax, increasing blood flow and aiding the delivery of nutrients to tissue and cells. Important skin cells rejuvenate quickly and more effectively leaving skin looking younger, more refreshed and less “old”.